Where do you like to play poker? Similar Threads for: Where is Your Favorite Place to Play? Prefer Live poker but mostly playing on-line. PS I believe that the question must be sound like - "Who likes to play poker where?" Of course, online poker is the easiest way to play. Also i need to say, that live poker is out of law in some countries. For sure, live poker is better, but sometimes you just can,t play live poker and you need to play it online. Of course I like to play live poker more, but it's very rare for me, where it is once or twice a month, so the game is online. The comfort and ease of playing at home while be able to relax is great and unmatched. To play live I have to drive about 45 minutes to an hour. If it was closer I likely would play live much more because I find it much easier. Live players are not shoving light and seem to be much easier to read and become transparent. I’ve only played electronic poker 1 week on a cruise many years ago. I won so I obviously enjoyed myself. I prefer to play live poker but since it is way more convenient to play online, I tend to do that more often. unfortunately in Russia it became impossible to play poker because of the silly and non-objective interference of the state. At first they were forbidden to play the live game, now they are struggling with playing on the Internet. Therefore, we don’t have to choose and we all play online, although, of course, playing live cannot be compared with anything. This is the best option. Touching and touching cards and chips creates truly unique sensations of the sporting spirit of competition. Never played video poker and have no desire too. Prefer live poker over on-line, but like the convenience of playing at home. Normally the live sessions are quite long. Like to play late into the night to early morning which limits it too Friday or Saturday night. I play on the Internet, but I have no doubt that playing live poker is much more interesting !!! I never played live but everyone says the feeling is much better but I have a lot of fun with online, several tournaments and very practical. Particularly I prefer to play online. I have played several times live, but I find it more difficult to control my emotions ahah. Regards! I like online poker, but my favorite rooms are already closed:Full tilt and PKR. I like poker. Every form of play has its strengths. Live is more exciting and fun. Online is more practical and comfortable. But I still prefer the latter because I can do other things while I play. re: Poker & Where is Your Favorite Place to Play? I love to play online poker because I do not know how to restrain emotions during a live game. I tried all 3 of your proposals. usually play onlne and rarely live in the past 4 or 5 times in electronic tables but now in Italy its impossible to find again. Never played electronic table before were the heck is that at, also what poker games do they play? I am assuming that you are asking where everyone likes to play these poker formats, not just why. Then again, I am new to this forum so I could be wrong. If that is the case, cut me some slack. I play online poker at ACR but would like to find some other good sites with freerolls that can be played in the U.S. Honestly, that is why I clicked on this post to begin with. I just hate the video live poker, it really takes a lot of interaction out of the live game and you don't get near as many 'tells' from your opponents. Some casinos only offer this type of live poker, but I avoid it if possible. 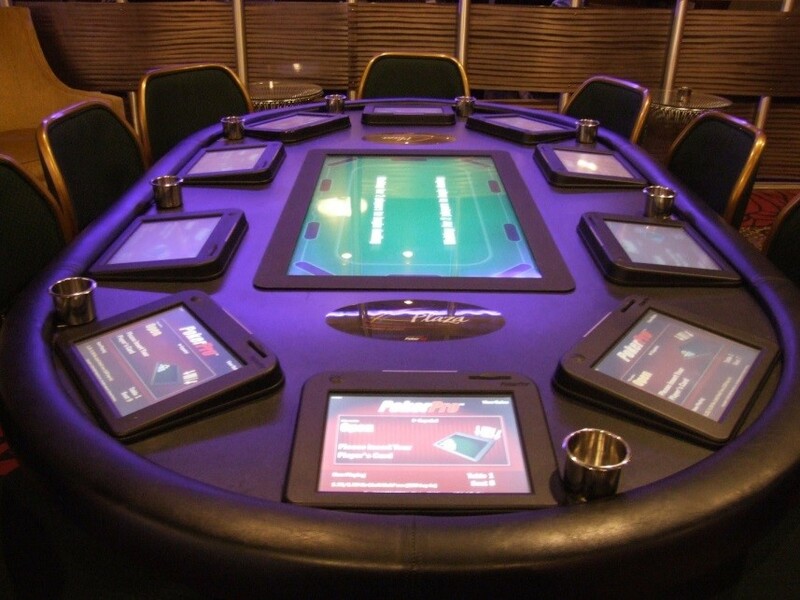 Live poker is by far the best way to enjoy the game, with all facets of the game involved. I play at Firekeepers in lower Michigan when I get a chance but it is almost a 2 hour drive for me so it does not happen very often. I would like to play live poker in a good casino but in my city there are no casino gambling clubs where I could play poker, and I only have to play online poker and try to win and make a profit! I prefer to play online poker. Playing on the Internet, I feel more comfortable. I usually play online poker, but my dream is to play in Bahamas. Never played Electronic Poker Tables. Online poker is the cheapest and most easily available way to play poker. You just need computer or phone and internet and you are good to go at any time. Due to this i mostly play online. The other type that i play are home games for few bucks which are without any doubt much more entertaining than online play but require more time for the game and for the organization as well as finding appropriate place where to play. I have never been in casino to play serious live game but will try to do that later this year to see what the experience will be. I have never played live poker before. I think it's more convenient to play online poker. You sit at home and you have the opportunity to choose the time to play. And do not need to spend time on the trip. I like to play live, but, I play more online because of logistics - no casinos or live games close by. Play on-line is certainly better. you sit at home in comfort, tea, sweets, silence. Super. Online: because I can lie quietly in my bed or sofa while I drink anything, dressing like at home and without outside noises that only deconcentrate. Live room: there is a nearby store that is close by where from time to time (once a week or less) my friends and new people meet to play a few hands, at least the laughs are guaranteed. I prefer playing poker at home on the weekend, when I have enough time to play in my favorite tournaments. Usually I use a laptop for the game. I find live poker much more exciting to play, however I prefer online poker since it is possible to print higher volume, thus decreasing the variance. MermaidPoker (BossMedia's room) in past, PokerStars now. online poker The best poker site is PokerStars. I love playing at Derby Lane Poker Room which is live they have high hand jack pots every hour that pay $500 for the player and everyone at the table gets $50 for each player at the table. I play $5 / $10 no-limit holdem which is a good game or I play $5/$10 PLO8 which I love because all the holdem players have no clue how to play it and will go bust with two pair or go bust with bad lows if you know how to play it you get rich real quick playing PLO8 in a live setting. those are my favorite games at my favorite place to play them. Live - hands down! Being in the US especially - our online options are way too limited. But even if we could play at sites like PokerStars I would still prefer live. Online is convenient and enables you to play multiple games at once - but it consumes our private life. Live poker tournaments are events - you go and that is all you are focused on. It is way more special and exciting for me. I mostly like an online game, but sometimes I like and play live. When I chose it, I would definitely choose an online game definitely because it's a lot faster game and I can play a lot more tournaments than when I play live. Maybe it's a better feeling on a live game or I prefer online. Lately I’ve just been playing online tournaments/sit and go. Just won a tournament for seat in a bigger tournament on 888poker from a free ticket for joining. I’ll also play live, very rarely due to time commitment and travel. Basically I play online and use my home computer for the game. I have four monitors, so my home computer is the most convenient place to play. I play online poker. Mostly due to the fact that it is more accessible to me. In general, I like this way. I play online but prefer to play live.